We’d love your help. 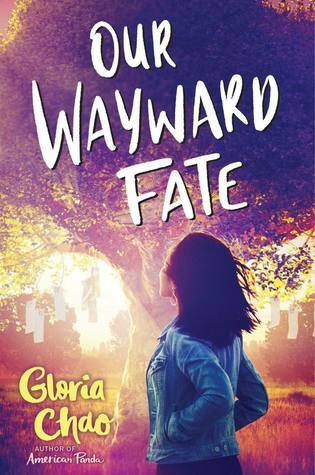 Let us know what’s wrong with this preview of Our Wayward Fate by Gloria Chao. Seventeen-year-old Ali Chu knows that as the only Asian person at her school in middle-of-nowhere Indiana, she must be bland as white toast to survive. This means swapping her congee lunch for PB&Js, ignoring the clueless racism from her classmates and teachers, and keeping her mouth shut when people wrongly call her Allie instead of her actual name, Ah-lee, after the Seventeen-year-old Ali Chu knows that as the only Asian person at her school in middle-of-nowhere Indiana, she must be bland as white toast to survive. This means swapping her congee lunch for PB&Js, ignoring the clueless racism from her classmates and teachers, and keeping her mouth shut when people wrongly call her Allie instead of her actual name, Ah-lee, after the mountain in Taiwan. To ask other readers questions about Our Wayward Fate, please sign up. WOW. I adored AMERICAN PANDA, and while this sophomore novel has Gloria Chao's signature incisive, humorous voice, it's a much darker, more intense book. The prose is at turns stunning and visceral, and every character is complex and three-dimensional. An intricate story of identity and family that's impossible to put down. I'm adding this just for Gloria Chao, not gonna lie. 3/20/19 Giving this author a second try.